Let us be prepared then to excuse this frantic passion for purple, even though at the same time we are compelled to enquire why it is that such a high value has been set upon the produce of this shell-fish, seeing that while in the dye the smell of it is offensive, and the color itself is harsh. Among the most enduring status symbols of the ancient world were the “royal,” or “imperial purple,” dyes used on textiles. King Midas was said to be clad in purple, as were Agamemnon (The Iliad) and Odysseus (The Odyssey). King Croesus—whose proverbial wealth gave us the expression Rich as Croesus—made offerings of purple garments at the Temple of Delphi. In antiquity, several purple dyes could be found in the marketplace, although most of them were cheap and inferior imitations of the genuine article. The ancients used sea snails to make the very best of their purple dyes. Amethystine purple (a term coined in antiquity) and Tyrian purple were said to be “worth their weight in silver”–silver being preferred to gold at the time. It took an estimated 8,000 pounds of decomposing sea snails to make 500 pounds of dye. 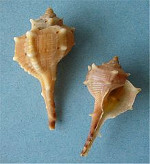 Frequently more than one species of sea snail were mixed together in order to yield the best results. The proper proportions for mixing are, for fifty pounds of wool, two hundred pounds of juice of the buccinum and one hundred and eleven of juice of the pelagiæ. 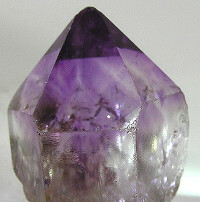 From this combination is produced the admirable tint known as amethyst colour. To produce the Tyrian hue the wool is soaked in the juice of the pelagiæ while the mixture is in an uncooked and raw state; after which its tint is changed by being dipped in the juice of the buccinum. Although the vogue for purple lasted for many centuries, it was particularly popular among the Romans. According to the Oneirocritica or Dream Book of Artemidorus (AD 2nd century), to dream of purple garments augured promotion and prestige. 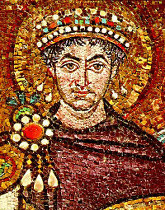 Although the state made occasional attempts to restrict the use of Tyrian and amethystine purples, according to Reinhold (1970), purple garments were never the exclusive privilege of emperors. That said, Caligula had Ptolemy of Mauretania put to death for a lavish display of purple at a public event, and Nero ordered a woman stripped not only of her purple garment but of her property as well. But for the most part, the use of purple went unchecked, and it was worn by the masses to signal office, rank, and affluence. Robbers in private thefts spend their time in prison and chains, robbers in public thefts in gold and purple. So did the Roman mania for purple extend to amethyst, the gemstone? Unfortunately, amethyst, although admired, never attained the status of “imperial” gemstone among the ancients. According to Pliny, “all these stones [amethysts] are transparent and of an agreeable violet color, and are easy to engrave. Those of India have in perfection the very richest shades of purple, and it is to attain this color that the dyers in purple direct all their endeavors; it presenting a fine mellowed appearance to the eye, and not dazzling the sight.” Although Pliny clearly admired amethystos, his description lacked the breathless quality with which he treated other gemstones such as pearls and diamonds. In antiquity, the status of “royal” or “imperial” stone was given instead to porphyry. 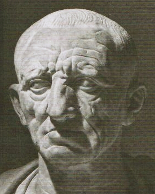 Porphyry is suitable for carving and was used in the portrait busts, monuments, and sarcophagi of the Romans. It was quarried at only one site, the Mons Porphyrites in Egypt, and because of its rarity and dark-purple color, it was esteemed as a luxury stone. To be “born in the purple” (porphyrogenitus) meant being born in the porphyry-lined birthing chamber of the Great Palace at Constantinople.